Bring a medium size pot with water to a boil. 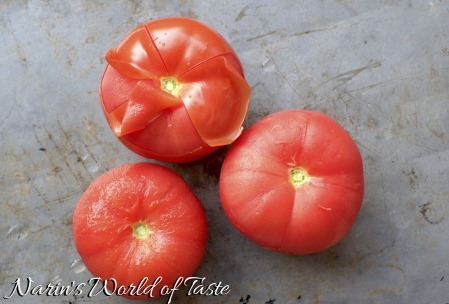 Wash the tomatoes and cut them slightly crosswise with a knife on their top and bottom. Try to only cut into the skin of the tomato, not into the flesh. Add the tomatoes to the boiling water only for a few seconds. When you see the skin coming off, rinse them with cold water and peel off the skin completely. Make sure you don’t overcook the tomatoes, otherwise their flesh will become soft and this will not taste or look as good. 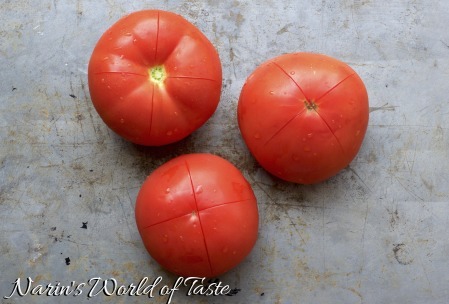 Store the tomatoes in a tupperware in your fridge until you need them. You can also already prepare them a day in advance. 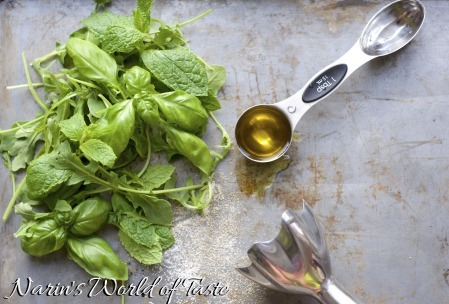 For the herbed oil dressing, simply blend all ingredients with a hand blender or food processor. 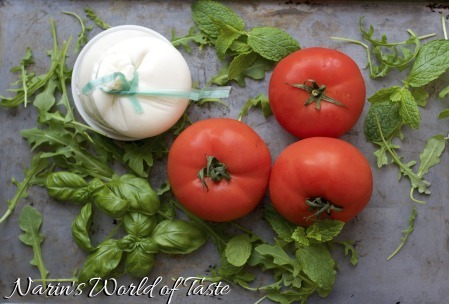 When done, ideally pour it into a squeeze bottle that you can later use to garnish the plate. 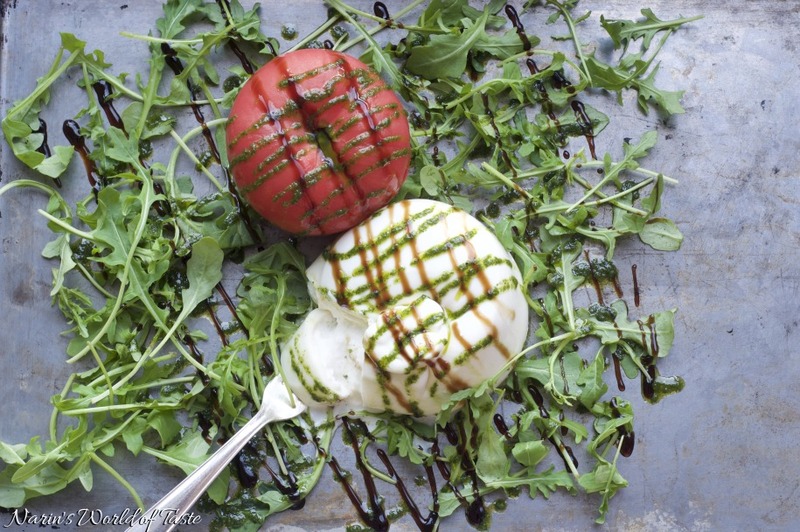 Arrange one tomato and one Burrata (or 1/2 Burrata if they are big) on a plate and sprinkle some rocket leaves around them. 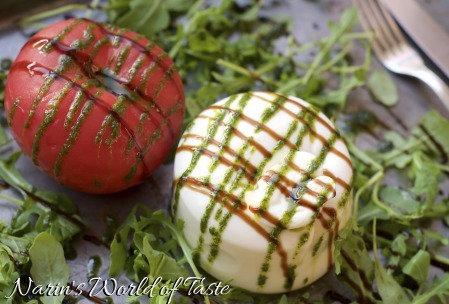 Garnish with the herbed oil dressing (shake well before using) and the balsamic glaze or aged balsamic.